Arrival at Cochin airport, meet and greet by Pretty Planet Representative and transfer to hotel. Check in to hotel.Rest and relax! Later proceed to the sightseeing , where sprawling tea plantations, picture book towns, winding lanes, trekking and holiday facilities make it a unique experience for honey moon Couples. After lunch in munnar by 2.00 P.M we visit. Tea Museum-(A place where u can see how they are processing tea-Like factory visit). Back to the Hotel, Rest and relax! Overnight Stay in Munnar. Devikulam- An enchanting Hill station. Check in to hotel! Local city visit! Check in Time 12.00 Noon! You will be greeted with a Welcome Drink (Non Alcoholic). Crew will give a brief introduction. Cruise starts relax and enjoy the canals and rivers and backwater. 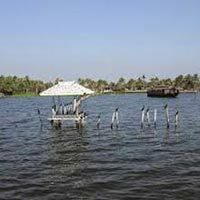 Cruise through backwaters of Kumarakom/Alleppey. 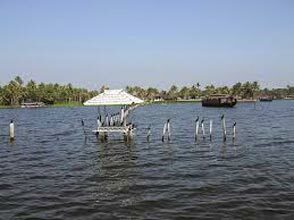 Sight seeing includes paddy fields & coconut lagoons & Resorts of Kumarakom/Alleppey. 01: 30 PM Stop for Lunch. 2:30 PM Cruise starts again through Pathiramanal area. 4.00 PM Tea & Snacks will be served. Cruise to C-block, R Block &Rajapuram. 6.00 pm to 07.00 am- Boat will Anchored & it will be idle in the lake. (As per GOVT. Rule- Village people need to put the net in the lake for fishing). Air condition will function in the bed room from 08.00 PM till 07.00 AM. After breakfast check out from hotel and you will be transferred back to Cochin Airport/ Railway station. On departure the tour concludes with happy memories.